6. The Bag Bungee ($25) helps you carry two bags with one hand. 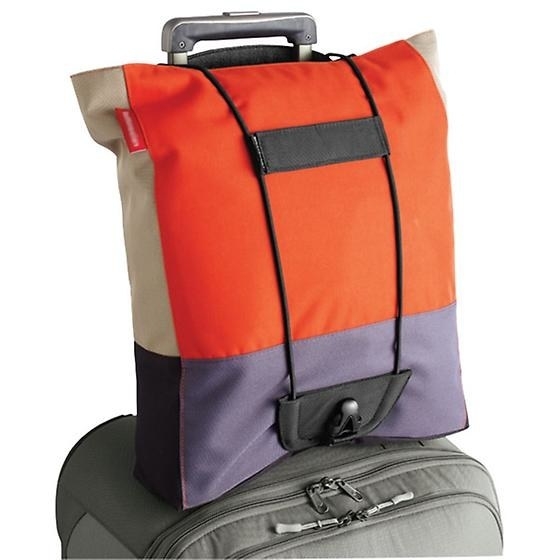 This accessory adds the Tarmac Carry-On’s best feature to any rolling suitcase. You can attach a heavy coat or briefcase to your bag’s handle with this cord. One end attaches to the luggage’s hand carry handle and the other end slips over the expandable handle.